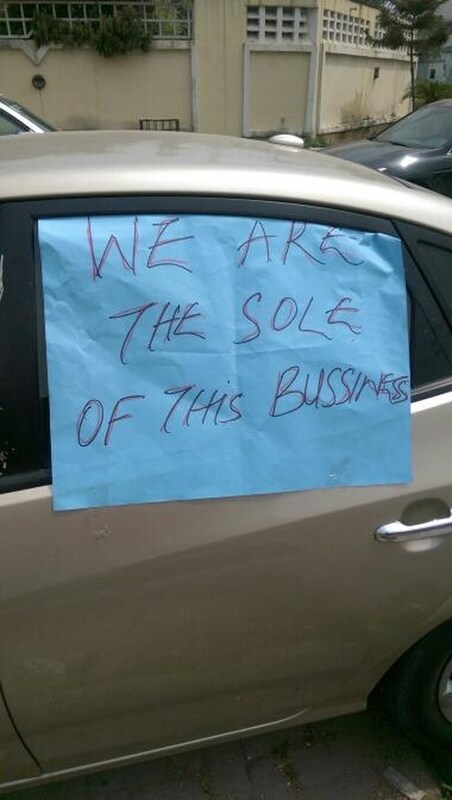 “We are the sole of this business”. Same, my dear, same. 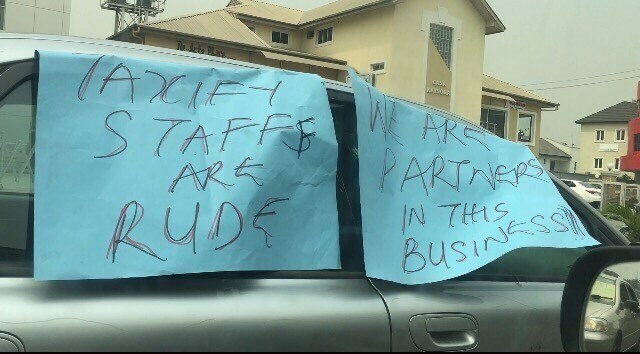 What spurred this protest – the DSF saga or their dissatisfaction with Uber and Taxify? 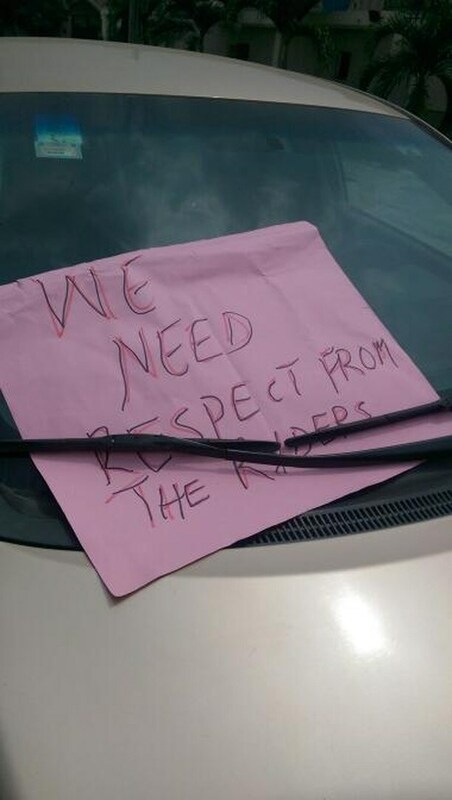 They may not all be rapists and kidnappers but please there have been several stories about Taxify and Uber drivers who raped, assaulted, kidnapped or were downright rude and unprofessional to their riders. Insincere people – they should have protested against the criminal elements in their midst when stories about sinister drivers became the norm. Misplaced priorities. What about you guys work on making sure your riders feel safe. And the drivers don’t act suspicious. Respect and trust is earned and reciprocal. When I take uber here, I take extra precaution. This is the U.S where it’s a lot safer than Nigeria. I’ve never experienced bad things neither do I feel like uber drivers are rapists but it’s just for my own safety. I am confused. Where is Taxify in all of this? Are these people protesting on behalf of Taxify or is this an independent protest? And if the later is the case, do they still have jobs after this? 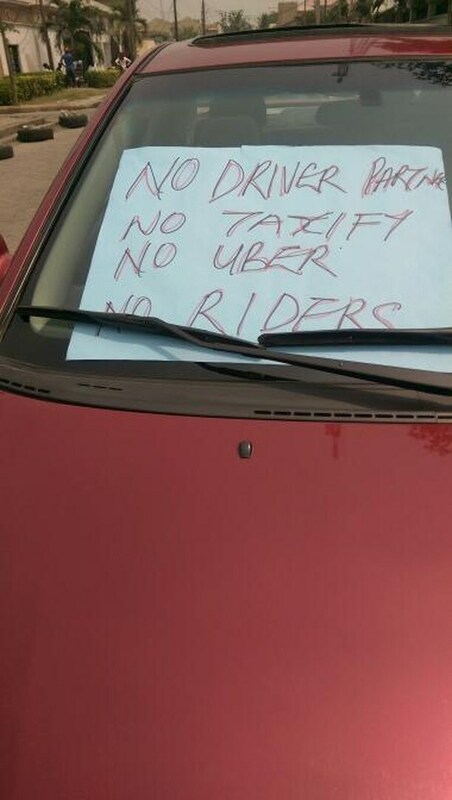 Because from how I see this, they are directly addressing Taxify’s customers, and accusing them of being rude, as well as acting under the insinuation that they are the “sole” of the business – ie they the drivers not the riders. In a business where the employees (the drivers) feel like they can directly address the customers (the source of income) in this way and not their employer, especially in this time of PR healing, they just made things worse for the company. 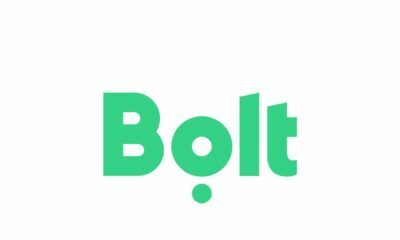 It would be interesting to see how Taxify reacts to this. I am confused. 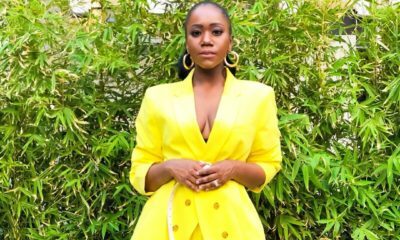 Where is Taxify in all of this? Are these people protesting on behalf of Taxify or is this an independent protest? And if the later is the case, do they still have jobs after this? 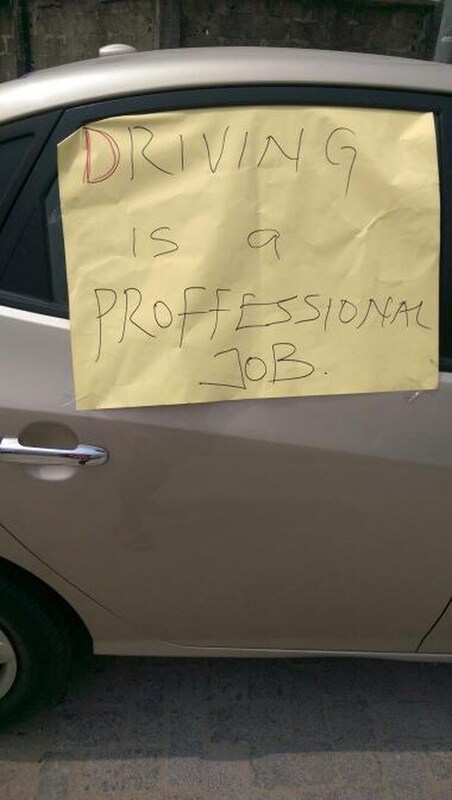 Because from how I see this, they are directly addressing Taxify’s customers, and accusing them of being rude, as well as acting under the insinuation that they are the “sole” of the business – ie they the drivers not the riders. In a business where the employees (the drivers) feel like they can directly address the customers in this way and not their employer, especially in this time of PR healing, they just made things worse for the company. I honestly feel bad for them. True, they are not perfect, and maybe not the most polished professionals. 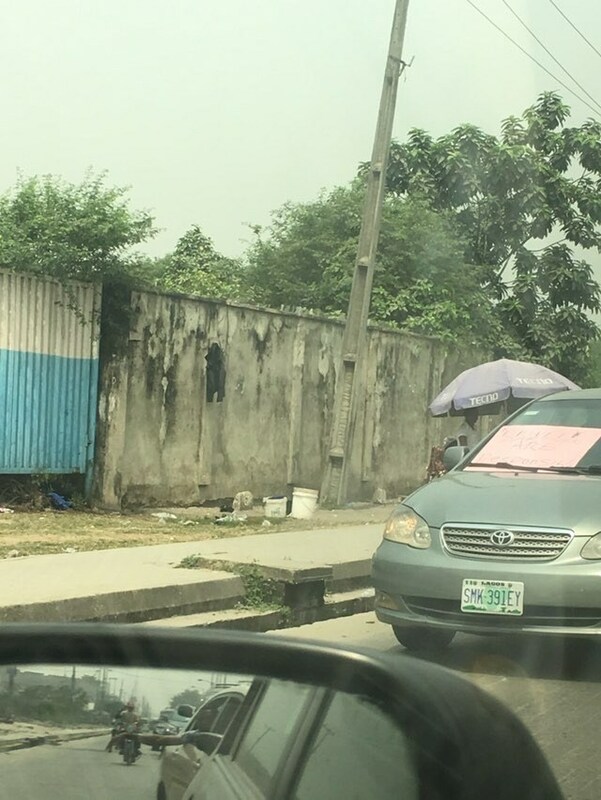 But, many of these drivers are honest, hardworking, diligent women and men trying to make an honest living in a difficult country. I don’t know what to make of the DSF allegations, as it is quite confusing. 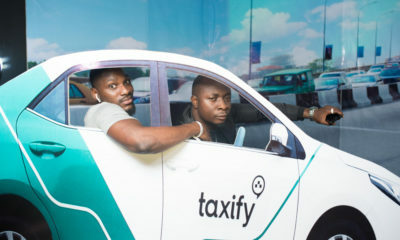 But, I will say that Taxify should use this opportunity to strengthen their processes to protect innocent riders and drivers alike from such problems in the future.